At Trethewey Stone we create affordable, fully customised and individually handcrafted stone work. The Woodsmiths you probably already know. Over a decade dedicated to enduring solid wood craftsmanship. 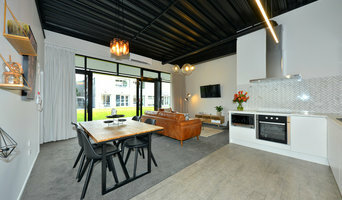 Work that can be seen in homes, kitchens and industry throughout New Zealand. Solid Wood Bench Tops have been a part of this. Timber Bench Tops crafted to customers designs, colours, timbers and finishes. All featuring the generous and extensive WOODSMITHS warranties. Our products are not mass produced. Each piece is individually hand crafted. We enjoy working with customers to design solid wood bench tops and other solid wood products that are unique and functional. We are committed to the highest quality of craftsmanship and take pride in each piece we make. The Tile Depot is a New Zealand owned and operated tile importer and retailer. Established in 1995, The Tile Depot has since grown into one of New Zealand's leading importer and retailer of quality tiles, with 14 retail outlets throughout the North Island. We select our tiles directly from the manufacturer, predominantly from Italy, Spain, Portugal, Brazil and China, thus giving us better control over availability, quality and price, and ensuring the range is constantly "on trend". With over 120,000m2 of stock available at any one time, we have something to suit every project and budget, from large scale commercial projects to smaller residential upgrades. Enthusiastic and friendly staff provide free in-store design services to enable you to customize your tiling needs to suit your individual requirements. As one of the North Shore’s newest tile specialists, you can be rest assured the team at Okapi Tiles are clued up on the latest trends in home design and because of this, our stock has been handpicked internationally from reputable manufacturers. An Okapi is a rare and endangered animal with unique, striking white horizontal markings on both their front and rear legs. As the names suggests, Okapi Tiles takes pride in our unique and striking range of porcelain tiles. We source the highest quality products at very competitive rates, searching for those designs with a difference, rather than the “off the shelf” look. Amongst our wide ranging selection, is the range of weathered plank tiles, which come in several different designs. These are a great alternative to wooden floors as they’re just as stylish, easy to care for and you don’t have to worry about those wet areas either! You’re bound to find something to suit your current living space with tiles available in an array of printed textures including concrete, pebble, sandstone, granite and marble just to name a few. The team at Okapi Tiles consider our main point of difference to be our unmatched quality of service and we are more than happy to go that extra mile to ensure you walk away with exactly what you came for. If you would like to see some of our products in the flesh, feel free to pop into our showroom at 3/7 Henry Rose Place in Albany. Opening hours are Monday to Friday 8.30am - 5pm and Saturday 8.30am - 4.30pm. Alternatively you can visit out our stand at Home Ideas Centre, 165 The Strand, Parnell. Hartley Tiling have a full time team of 9 employees, which demonstrates both the capacity for undertaking both large scale commercial work as well as effectively working in with new home builds, renovations plus much, much more. Abby and Richard have been working alongside each other for a number of years. Originally from the UK we emigrated to NZ in 2005 with our two children. Starting the original tiling business in 2006. We feel we have a vast knowledge of the building industry. Richard has been in the building/tiling sector since starting his apprenticeship in 1989. With Abby being in the financial sector both in the UK and NZ we feel we are a formidable combination along with our excellent team. We work hard to achieve the highest level of service for all our clients. Here at Granite Heaven we are a small family-run business who pride ourselves on our ability to deliver top customer service and quality products at reasonable prices. We are the only company north of Albany who solely manufacture Granite and Composite Benchtops, Vanities, Hearths and many other fixtures at clients request. We are a very personable company who aim to deliver top quality - high end products to the North. Covering as far north as Cape Reinga and as far South as Waipu. Our team here at Granite Heaven are always happy to help and will greet you with a smile and uncompromising integrity that's hard to beat. Come and see us in our Showroom and get a feel for this amazing company and see our great range of stone products. You can even peek through the window at our highly experienced Stone Masons creating beautiful Benchtops right before your eyes! 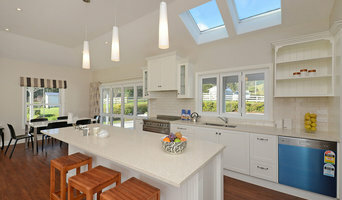 TimberTops.nz is your source for a range of quality solid hardwood timber bench tops. Primarily used for kitchen benchtops, timbertops are also used for vanity tops, table tops, desk tops, doors and shelves. In the commercial sector they have been used for restaurant, shop and office fit outs. The current range of timbers available are European Oak, European Ash, European Walnut, Maple, Cherry, European Beech, Blackened Oak, American Walnut, Iroko, Zebrano and Wenge. New species are being investigated and will be added to the range when reliable, certified sources are found. The countertop blanks are 42mm thick and come in 4 metre lengths 1.22 m wide. Buy a full sheet or a part sheet cut to your dimensions or we can finish and install (in certain areas) for you.